Please go there to check out my new stuff. 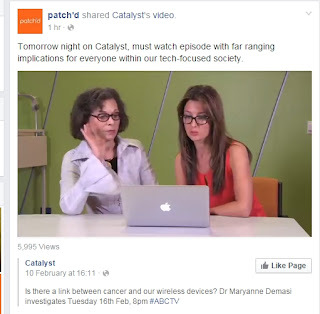 The ABC's primary science journalism series, Catalyst, is due to air a program warning of the health risks of wireless networking, this Tuesday night, on the 16th of February. I haven't seen it yet, obviously. But I have, in a way. I feel like I've been watching it for five straight years, on repeat, with tiny variations in content and wording. It's another tiny chapter in the perpetual, thematically consistent presentation of a safe new technology as something we ought to fear. But scientific research points to these stories as being a major contributor to the phenomenon they're examining, creating a self-sustaining loop of fear and anxiety. Asking questions is fine, but this style of asking questions is causing demonstrable harm. 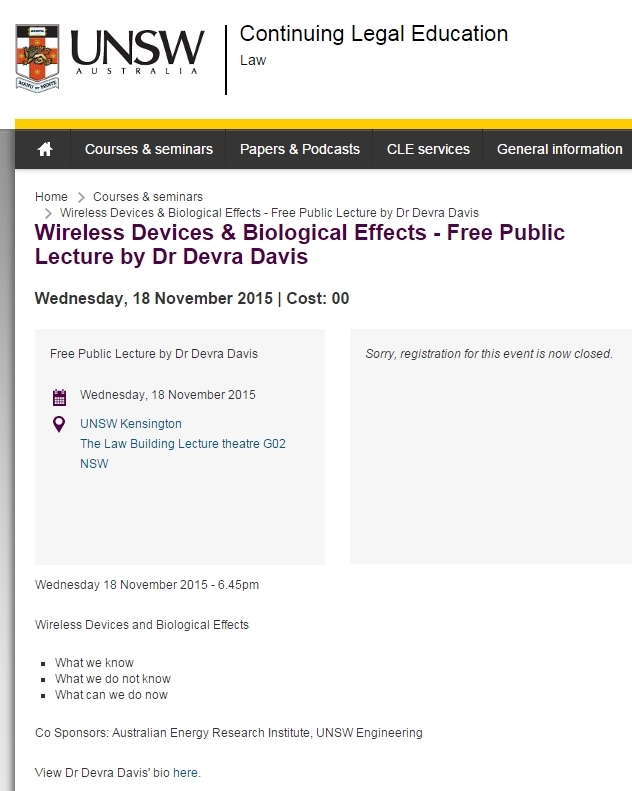 A previous iteration of this perpetual program: in 2007, the BBC's Panorama, an investigative current affairs show, aired an episode about the health risks of WiFi. 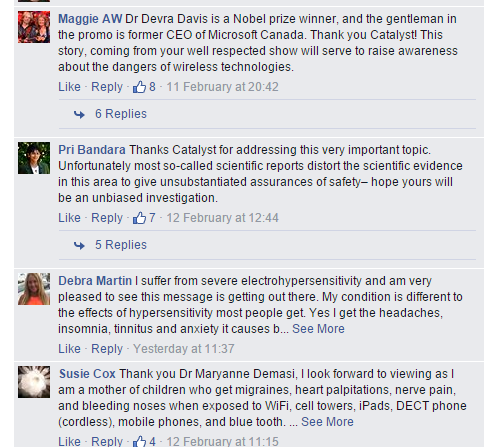 It relied heavily on an 'electrosmog' pressure group, and attacked experts. The episode spurred a barrage of complaints, which were upheld by the BBC's editorial complaints unit. Ben Goldacre, a UK science writer, wrote about it extensively, here. More interestingly, that episode of Panorama was used in a scientific study examining the impact of misinformation on symptom reporting in people who claim to be hypersensitive to eletromagnetic radiation. 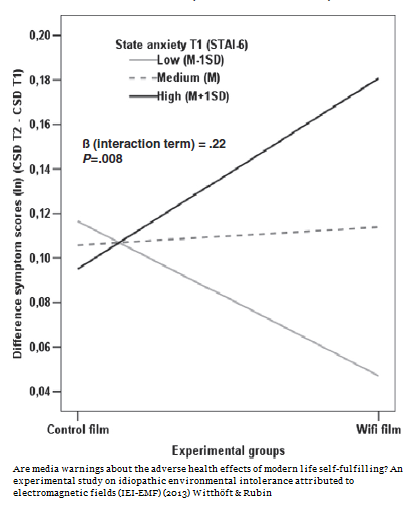 The study was done by Witthoft and Rubin, in 2013. "82 (54%) of the 147 participants reported symptoms which they attributed to the sham exposure. The experimental film increased: EMF related worries (β=0.19; P=.019); post sham exposure symptoms among participants with high pre-existing anxiety (β=0.22; P=.008); the likelihood of symptoms being attributed to the sham exposure among people with high anxiety (β=.31; P=.001); and the likelihood of people who attributed their symptoms to the sham exposure believing themselves to be sensitive to EMF (β=0.16; P=.049)"
"Articles which quoted someone with [intolerance to electromagnetic fields] were significantly more likely to report an electromagnetic cause and to present unproven treatments. Those which used a scientist as a source were more likely to present a non-electromagnetic cause for the condition. 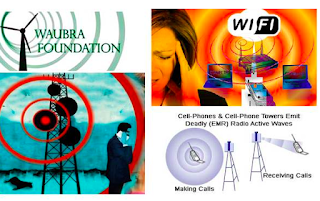 The widespread poor reporting we identified is disappointing and has the potential for to encourage more people to misattribute their symptoms to electromagnetic fields. 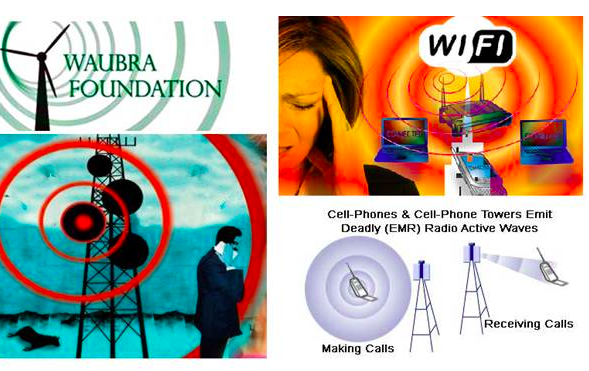 Scientists should remain engaged with the media to counteract this effect"
Shockingly, 72% of the content they examined blamed electromagnetic fields, despite there being no evidence to suggest these are the physical cause of the phenomenon they describe, and plenty of evidence demonstrating that people report symptoms regardless of the presence of EMFs. Suggestions and expectations of forecasted sickness can cause real sickness. People who suffer from anxiety and depression are at greater risk. This is a real thing that can be measured and published, and it's being maintained by this perpetual story: this new thing might hurt you. - One or two 'experts', and one or two 'sufferers', all claim the technology is causing sickness. These people will be on-screen for the majority of the segment. - A brief statement of what the majority of scientists think, maybe at the end, and only briefly. - End with a reassertion of uncertainty: 'time will tell, but for now, be cautious'. 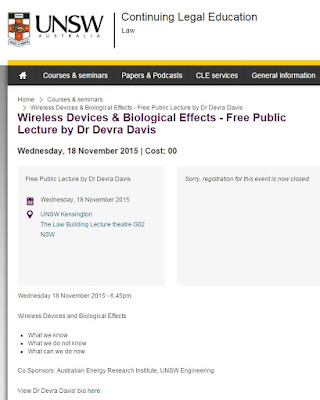 Dangers of Wi-fi and mobile phone radiation. ABC Catalyst, 8pm AEST. Must watch television. It's going to be interesting to see whether Catalyst explores the links between this new company selling its wares, and any affiliations their interviewees might have. Not to say that there are any, but it's well worth asking the question. "A diagnostic checklist of fright factors has helped to explain why some environmental health risks are more likely to trigger alarm, anxiety or outrage than others, independently of scientific estimates of their seriousness (Bennett 1999). Media stories that contain a large number of these fright factors provoke a strong public reaction (Bennett 2010). These fright factors have been shown in newspaper coverage of human papillomavirus (HPV) vaccination, avian flu, biosolids and genetically modified crops (Burke 2004, Goodman and Goodman 2006, Abdelmutti and Hoffman-Goetz 2009, Fung et al. 2011)"
The research paper applied the above factors to media coverage of wind turbines in Canada - a technology that's an precise analogue of the same perpetual fear-based story: you should be scared of this new thing, because scientists are uncertain and some people feel sick. 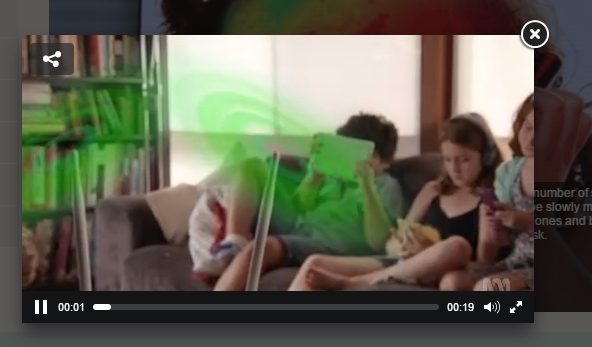 Some of these themes already dominate the preview (include the classic image of a device radiating evil green waves), but I suspect the full episode will adhere more closely to the checklist of 'fright factors' than to the current scientific consensus on the safety of wireless technology. There's a chance I'm wrong, but I'd posit it's not a big chance. They might take the opportunity to fully explore the serious implications of expectations of harm, and psychological factors, with the preview cleverly baiting viewers expecting a scare-story on WiFi. Perhaps the warnings of harm are accurate, or even understated - WiFi might be reaching aggressively into our skulls and frying our neurons. In which case one would expect the purveyors of these warnings to be publishing research, and talking to the scientific community, rather than talking to the media and selling books. Perception is flawed. If we want to be sure, we place our theories in the imperfect but demonstrably useful crucible of the scientific method. I'm not optimistic - the story is a perpetual one, updated to serve whatever anxieties dominate current discourse. At the moment, it's nervousness about the prevalence of smartphones in public spaces. Someone needs to jam a thick, jagged stick into the spokes of this wheel, because it causes real suffering, and it needs to end. Here's hoping Tuesday's episode doesn't add to the perpetual state of fear around new technology. Renewable energy, presented as environmentally friendly and clean, must turn out to be harmful to humans and the environment. There's an ironic, vindicating righteousness in believing, as intensely as you possibly can, that technology used to reduce environmental impact actually increases it. This is what drives monumentally ludicrous runaway myths, like the now-infamous 'WIND FARMS CAUSE GLOBAL WARMING' - a particularly frenzied, unhinged example. It spread virally, despite desperate pleas from the scientist who did the original work. 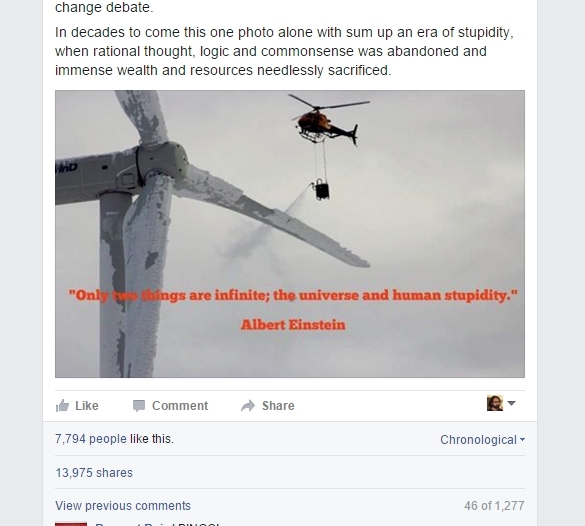 Continuing this trend, any nugget of information that suggests fossil fuels are involved in the production, maintenance or operation of clean energy is decontextualised, mutated beyond recognition and spread with absolute glee within the anti-renewable, climate-skeptic social media landscape. It's this wonderful feeling of righteous irony they seek, and critics of clean technology and climate skeptics will manufacture amazing new magnitudes of wrongness just to grasp that emotion for a fleeting second. To fix the "problem" a helicopter is employed (burning aviation fuel) to spray hot water (which is heated in the frigid temperatures using a truck equipped with a 260 kW oil burner) on the blades of the turbine to de-ice them. In decades to come this one photo alone with sum up an era of stupidity, when rational thought, logic and commonsense was abandoned and immense wealth and resources needlessly sacrificed." "Glaciated rotor blades are the scourge of wind turbine owners in cold climates. Alpine Helicopter in Constance has developed a new way to kick-start production when the ice forces the turbines stop: a helicopter that sprays hot water." It's tricky, really, when someone is this wrong. Craig Kelly believes the turbine can't pay back the emissions in in the lifespan of the machine, which is 25 years. But with some decent wind, it pays back the emissions in 22 minutes. Kelly's belief is 597,273 times larger than the actual figure. This would be like estimating that Malcolm Turnbull is 36,433,636 years old, or that Kanye West is 1,027,309.091 metres tall. This isn't the sort of error we make in our every day life. This is unfathomable in scale, and it happens all the time. Consider Alan Jones, who on the ABC's Q&A claimed that wind power costs $1,502,000 per megawatt hour. It's actually $74. That's 20,297 times larger than reality ("by my reckoning, the average dog will live for 263,864 years" - Alan Jones, probably). Of course, the whole argument itself, around de-icing using a helicopter, is already outdated. The wind farm in question has 30 new turbines on the way, each with a dual de-icing system installed in the blades - that information was in the article from which Kelly sourced his image, but left out of his post. It takes 5-8 months to pay back the embedded energy in a wind turbine. Human activity emits 100 times more CO2 than all volcanoes on the planet (let alone just one). They're all very wrong, but they frame their wrongness as a disgusted reproach to a group they perceive as persistently wrong, and blind to reality. Quite a few people sent it to me - it went viral. But Barton never said that. His point was certainly contentious and his hypothetical was pretty silly, but that's besides the point - the meme was inaccurate, and unfair. The post digging into its veracity was barely shared at all. - We label those who doubt its veracity as infected by some mass blindness, cuddling into a herd of conformity as we blast away their brainwashing with our dank truth bombs. The frequency and magnitude of these earth-shaking screw-ups is an important marker, for me. It shows, with absolute clarity, that clean technology is currently an issue linked totally to political belief systems. The machines are co-opted into ancient political and cultural battles, and information that once bore some linkage to reality is battered and bent, to serve the purposes of maintaining these mindless, eternal squabbles. This is why deploying technological upgrades to our energy system is so amazingly hard. This magnitude of wrongness is a shining marker of a machine dragged backwards by politics and ideology. "It takes us about 1.5 hours to process a sharp occurrence of icing wind turbines, says CEO Mats Widgren. Last winter, the method was tested with good results in Skellefteå Kraft's wind farm in the low mountain Uljabuouda in Arjeplog. During the year, the technology has been refined, and now it is ready for use. The water is heated over night using a truck equipped with a 260 kW oil burner. When morning dawns are 44 cubic meters of the 60-degree water in the tanks, and the helicopter can start running in the shuttle to the icy wind turbine"
"The AS350 helicopter depicted here burns about 200 litres an hour, producing up to 400 kg of CO2. When the blades are spinning again, a turbine of this size produces 500 kWh on average. To produce 500 kWh using coal would produce about 500 kg of CO2. So assuming it takes about an hour to de-ice, the payback in CO2 terms is less than an hours running time"
I really don't know a lot about helicopters, but comparing images of the AS350 to the image in the article, it's hard to argue. This site estimates ~35 gallons per hour of operation for an AS350 - slightly less than 200 litres, but let's go with Bas' upper estimate - 400kgCO2/hour, which is 600 kgCO2 for the total 1.5 hours of de-icing. The truck heats 44 cubic metres of water* to 60°C overnight using a 260 kilowatt oil burner. If it's left at full output overnight, it's 260 kilowatts by ~10 hours, which is 2,600 kilowatt-hours of energy expended. dT = temperature difference between hot and cold side (K)"
One gigajoule is equal to 277.8 kilowatt hours - so it takes 9.218 x 277.8 = 2,560.6 kilowatt hours, which is pretty close to our alternative calculation. Fun, huh? Anyway, let's go with the upper estimate of 2,600 kwh to heat the truck of water using an oil burner. Non-freight carrying trucks consume approximately 22 litres of diesel fuel per 100 km (see edit note) - an overestimate but let's run with it. It's unlikely to be more than a few kilometres between the turbine and the site office where the truck would fill up with water - let's call it five, for a total of 1.1 litres of diesel. What's the output, and displaced emissions, from the wind turbine? This is relatively easy to calculate. The photo is taken at the Blaiken wind farm, in Sweden. Each of the Nordex turbines has a capacity of 2.5 megawatts, and average capacity for for onshore wind in Sweden is 32%. Again, let's be conservative, and assume that it's only operating at 20% capacity. How long does it take our wind turbine to produce the same? Our capacity is 2,500 x 0.2 = 500 kilowatts. So that's 911/500 = 1.8 hours of low-level output to fully offset the (over-estimated) emissions used in the process of de-icing this turbine. If the wind was high enough for the turbine to be at maximum output, you'd only need 0.364 hours, or ~22 minutes. 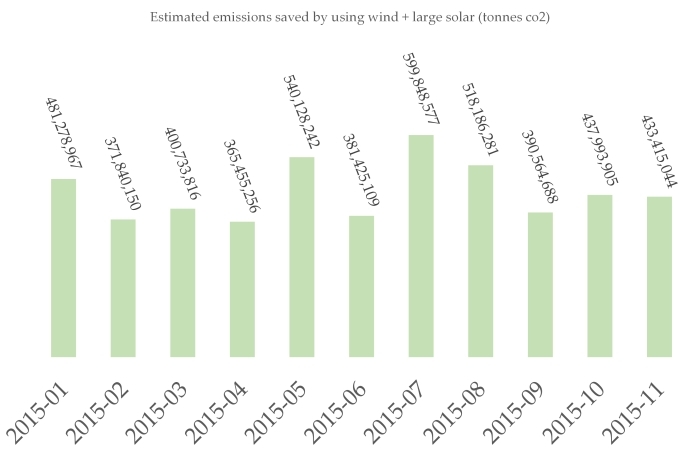 Over the course of two days, the wind turbine will offset 2500 x 0.2 x 48 x 1.31 = 31,440 kilograms of co2 emissions. That's around 26 times the emissions output by the de-icing helicopter technique. We don't know how often the de-icing needs to occur, but it's likely it's deployed during times of high wind output, to maximise the return on the economic costs of de-icing. Why would you say things? Do you want someone to feel the joy of a fresh perspective on an age-old conundrum? Do you want them to love something they hate? Do you want them to loathe something they like? It's a bit of everything for me. But it's weird how regularly writers self-sabotage, when it's clear they're setting out to change minds. A recent piece published on New Matilda is a great example of this. It's fair to assume the intent of the piece is to present nuclear power as a viable solution to the threat of climate change. But it's written in a way that immediately alienates anyone that it might be on the verge of considering that technology as something they could support. It's worth examining more closely, because this sort of thing happens in the renewable energy world, and the fossil fuel world, and the nuclear power world, and well, all the worlds. We're amazingly adept at convincing the convinced, and alienating the curious. "The renewable alternative is like running a coffee shop with a crew of footloose narcoleptics who arrive if and when they feel like it and who can nod off with little notice. Would this work? Of course; just hire enough of them"
Wind generators are classified as ‘semi-scheduled’ on the NEM, which means they are issued with a dispatch target of X megawatts, in the 5-minute intervals where output limits are warranted. This target is used to balance supply and demand. When there’s too much supply, wind generators are forced to turn down, and face consequences (non-compliance) if they don’t. Electricity doesn’t get ‘dumped’. All generators on the National Electricity Market inform the operator of their ramp rate, and fluctuations are managed according to how rapidly each generator can respond. Each wind farm is different, but I've had a fair amount of experience with market dispatch SCADA control systems for a large South Australian wind farm, and it's fair to say it's significantly more response than a coal-fired power station. The system is carefully balanced, with responsiveness weighed against the frequency and severity of forecasted and unplanned fluctuations in the grid. Yes, wind turbines are built with a capacity far higher than the average level of wind it’s going to receive. 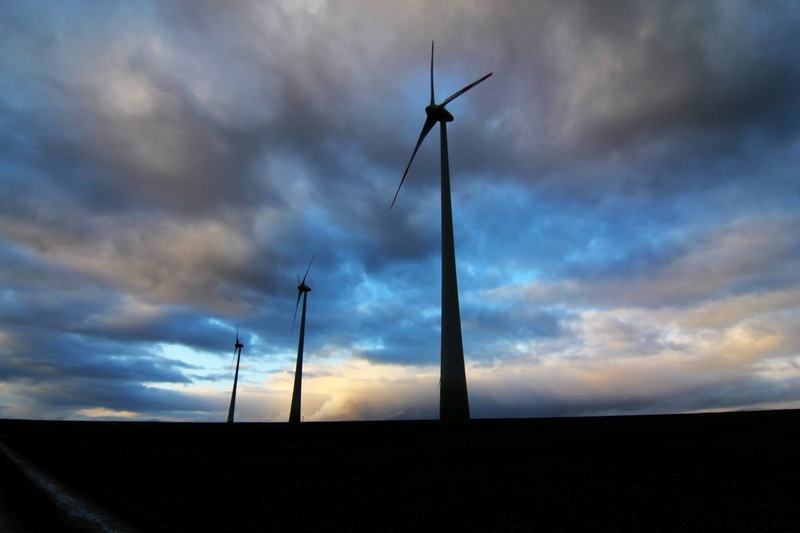 This is because it captures wind power at a range of different wind speeds – regardless of regularity. High winds are rare, but it's still important to capture that energy. It’s the same idea behind a car slowing down and speeding up – it can travel at 250km/h, but on average it goes at 50km/h. Except, we don’t criticise vehicle technology because it operates at a low capacity factor – because it’s doing precisely what it’s designed to do, as wind turbines are. If you use the same metric to judge two different technologies, you'll get a misleading answer. "These lines aren’t being built without protest. The path of least resistance will be wildlife habitat; to avoid concerns both real and imagined over reducing property prices and health risks." "At the edge of an easement, the [Electro-magnetic fields] are appreciably lower than they are in the centre. The WHO limits are not exceeded anywhere within easements; the EMFs outside easements are consequently well below these limits"
Of course, contact with power lines is lethal - hence the safety regulations. But Russell rails angrily against those who consider nuclear power a general health risk, and public concern has focused largely on electro-magnetic fields. When it comes to critiquing renewable energy, Russell seems happy to adopt a standpoint that he'd normally dismiss as irrational and emotional. These articles are always framed as arguments against a system comprised of 100% renewable energy. This is an enjoyable exercise for those who really don't like renewable energy, or the groups that tend to support it. Russell labels the technology 'unreliable', 'narcoleptic', 'deficient' - there is palpable loathing, here.
.@larissawaters' comments on SA renewables are pie-in-the-sky fantasy. Greens' energy 'policy' is expensive, unreliable and fanatical. As I mentioned earlier, this dual system of claiming immunity to delusion whilst simultaneously protecting one's own worldview isn't unique to nuclear power advocacy. In the world of renewable energy advocacy, we sometimes fail to understand and acknowledge the technical limitations of clean energy. It's something I find myself doing pretty regularly; it's a problem, and it's difficult to notice and quell. "In insisting that tackling carbon emissions must be subordinated into a wider agenda of social revolution and the dismantling of corporate capitalism, Klein isn’t making climate mitigation easier: she is making it politically toxic"
Lynas outlines what would be almost unremarkably obvious, were we not all the primary drivers of this trend: we protect our perception first, and we care about saving humanity second. It isn't bad, or weird: our brains come standard with this feature, and it's hard to avoid it. Advocates and critics of renewable energy, fossil fuels and nuclear power are each subject to an alternate mix of cultural and social blinders, each to a varying severity. Layered on top is an assumed in-group bias immunity, and an assumed out-group bias-affliction. Russell's article showcases this stark disconnect, but don't let that make you feel comfortable. We all tend towards self-sabotage, and it requires effort and practice to neuter. I had an interesting taste of precisely how bizarre the Australian attitude towards clean energy is, in rural Germany. I was on the outskirts of a town called Ebersheim, in the region of Mainz. Ebersheim is about forty minutes from Frankfurt, and it’s enclosed by a collection of wind turbines. Stepping out from the house I was staying in and moving around the first corner, you can see the tall, red-tipped machines poking through the homes. Turn to your left, and move slightly further down the street, and you can see some others. I ventured closer to take some photos, armed with a collection of lenses. A rare glimpse of winter sunlight peeking through the permanent cloud layer instilled me with urgency. I stood just outside the town, on a pathway next to a winery, switching lenses and snapping furiously. Some locals walked past whilst I was doing this. The custom, I’d learnt, is generally to smile and greet people you pass by. These people just looked at me, down at my camera, at the turbines, and back at me, with utter bemusement. I was little confused by this. I even tried greeting them myself, but they muttered a response and their bemusement was unchanged. Later, I paused to dwell on why they were so confused by someone taking photos of a picturesque wind farm in a beautiful field, next to a pretty rainbow. 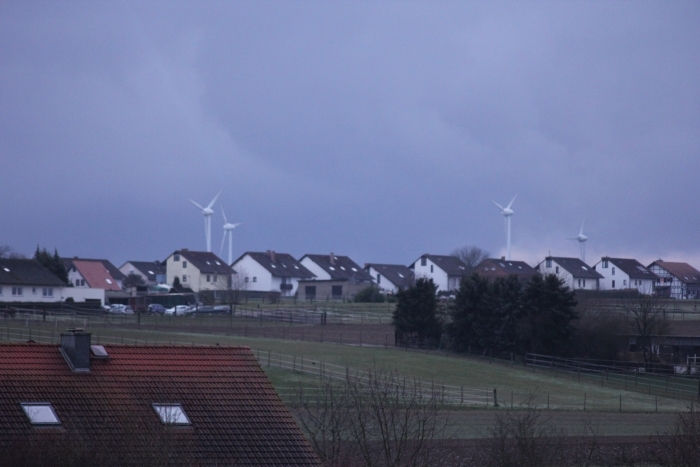 There’s something about Germany that seems to make it an ideal candidate for technology like wind farms. It currently leads the EU in wind power - 39 gigawatts at the end of 2014, making up 30% of total EU installed wind power. I think it has a lot to do with geography. There’s no Australian urban sprawl, and there’s no fierce, imagined dichotomy between city and rural. Small towns are scattered across the country – you’re never really that far away from a human horizon, and it seems wind power has developed (relatively) smoothly, due partly to this. With an even spread of cities, joined by large highways and a very prevalent transmission network, it makes sense people see wind turbines on the horizon and say ‘meh, it’s electricity. Who cares’. 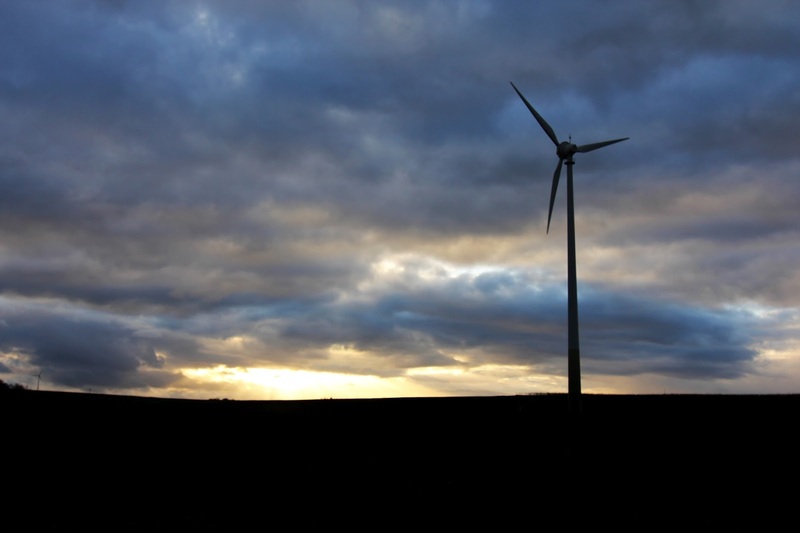 In Australia, the sudden construction of wind energy in rural areas is perceived (mostly by opponents of energy technology upgrades) as cultural greed – low-carbon technology is framed as an inner-city obsession, rather than a necessary technological upgrade, and an obsession that’s forcibly lumped onto rural communities. 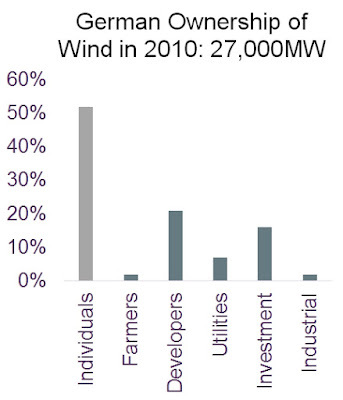 It’s interesting to consider this as a factor in why wind energy has been generally well-met in Germany, compared to the Australian experience of ‘wind turbine syndrome’ and community protests. I don’t think there’s any way to emulate this advantage in Australia – attitudes to development will always be informed by culture and community, imagined or real. I’d probably say that it’s a strong reminder of how important ‘energy democracy’ is – the implementation of sharing and benefit schemes in large-scale clean energy development. Germany, as it happens, has a very strong culture of benefit sharing. I had a chat to my host about my experience on the outskirts of Ebersheim. She told me about a neighbour in the small town who owns shares in those very turbines, and has been making money off them, and he loves them. It really makes me wonder if, some time in the near future, Australians might drive past a wind farms and think ‘yep, whatever’. I’m not sure that’s enough, in Australia, in the context of sprawling and distinctive culture and worldview. Australia will need a serious rethink of large-scale clean energy development, and the creation of benefit-sharing schemes as standard, if we’re to meaningfully source electricity from big, visible machines placed in the rural landscape. You can't legislate a cultural shift; nor can private companies fund it. You can only live it, and hope those around you take notice. For five years, the rejection of climate science seemed like the best option for protecting technologies that rely on fossil fuels. But pumping money into organised denialism is becoming less effective - public acceptance of climate science is slowly increasing, and the field of climate denial has attracted a broad collection of awkward cranks. Hence, the need for a re-brand. This isn't unambiguous scientific denial - it's climate inactivism - passionately arguing and advocating for the absence of any action to reduce carbon emissions. A key component of inactivism has been an effort to frame fossil fuels as a moral imperative - an argument that was born in US fossil-fuel-funded think-tanks and that has now been adopted by the Australian government, the conservative media and the Minerals Council. They're not normally the groups you'd see arguing for collective action to altruistically assist those in need, but they make an exception when it comes to advocating for fossil fuels. Dr Lomborg greeted the Mr Gates-led coalition as a positive sign confirming innovation as the key to climate mitigation. But he points out that today’s favoured subsidies do not encourage innovation, instead making companies stick to inefficient but subsidised technologies such as solar and wind power"
Lomborg is the chief proponent of the idea that logical outcome of the need for research is the immediate cessation of all government support for all clean technologies - a fallacy that's republished verbatim in the editorial. The declared 'insufficiency' of wind and solar somehow transforms into "inefficiency", and The Australian then suggests we replace government support of clean technology with research - "instead of", rather than 'in addition to'. It's a popular concept, because it avoids, entirely, the need to reduce carbon emissions by any quantity in the coming decades. People find themselves welded to a spectrum, according to their views on technology, their ideological underpinnings and their general worldview. I really don't think we need to slide along the single dimension offered by the approach above. I agree with the idea that greater spending on research and innovation is a good thing for the clean tech industry, and decarbonisation. We'll get deeper, faster cuts if we do this, which is why Bill Gates' 'Mission Innovation' project is a good thing. 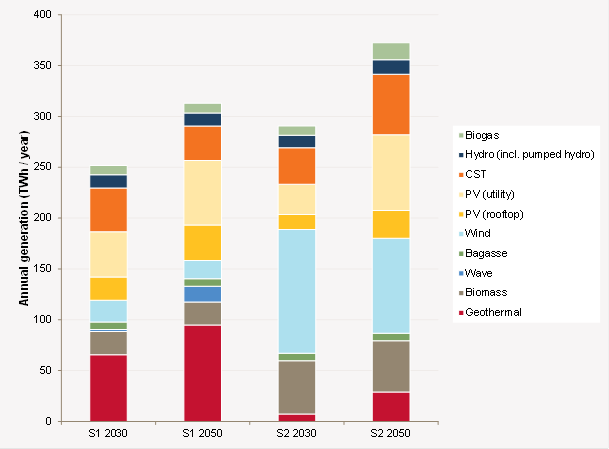 I also agree that we could potentially decarbonise using technology we have today - the Australian Energy Market Operator did a great report illustrating that pre-existing technologies might do the job, assuming some 'anticipated technology cost reductions and performance improvements'. But this isn't about potentials, anymore - it's about rate-of-change. Progressives recognise that the 'innovation-only' end of the spectrum is a branding exercise for continued inaction. Conservatives recognise that subsidised deployment leads to a quantifiable threat to the market share of carbon-intensive fuels. Both sides spy an ideological trojan horse embedded in ideas that are, in and of themselves, good ideas. Both sides are right: this is how humans beings deal with the world - through the lens of our own package of biases and ideologies. But this isn't a case of both sides being 'equally wrong'. The progressive half of politics in Australia has done a lot for clean technology research and innovation, and the conservative half has mostly sought to destroy it. Looking back on the past three years of Australian energy policy, and the subsequent halt on clean technology construction, that's an inarguable point. It's extremely important to note that the Australian Greens and the Labor Party were responsible for the creation of two agencies dedicated to research, development and innovation - ARENA and the CEFC. But, it's still government policy to continue attempting to abolish these two agencies. When the attempted abolition of these bodies was first announced in the 2014 budget, it was hailed in The Australian as an 'impressive first step'. Research and development, once it actually starts happening, is perceived as a threat that needs to be obliterated. This approach continues once technologies reach maturity. 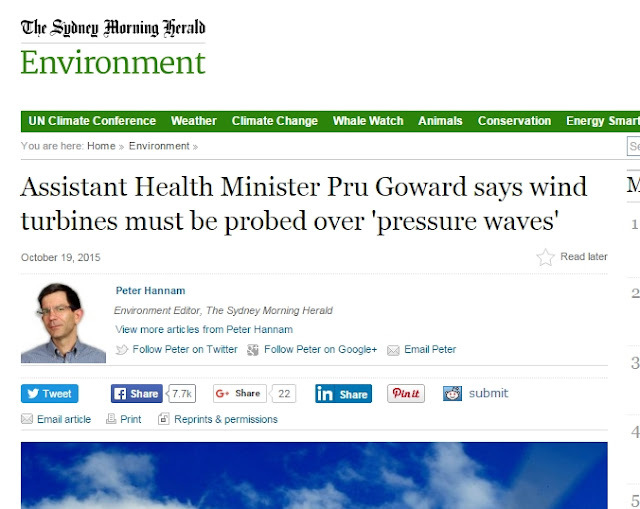 Opponents of renewable energy have focused heavily on the propagation of health fears around wind farms. Currently, a newly-created government role to receive complaints about wind farms will cost $600,000, and the National Health and Medical Research Council has been compelled to set aside $2.5 million, specifically to commission scientific studies of 'wind turbine syndrome'. The West Australian state government is now charging a tax for those who dare to reduce their electricity demand through rooftop solar. The large-scale renewable energy target, which saw the successful installation of several thousand megawatts of clean technology, was reduced this year, on the basis that the reduction was justified by the previous period of anti-renewable energy campaigning. If we adopted the approach advocated in The Australian, the chart above would be zero for each month. The deployment of clean technology, and subsequent reduction in carbon emissions, has happened through the creation of government schemes - schemes that 'innovation only' climate inactivists openly seek to completely destroy. 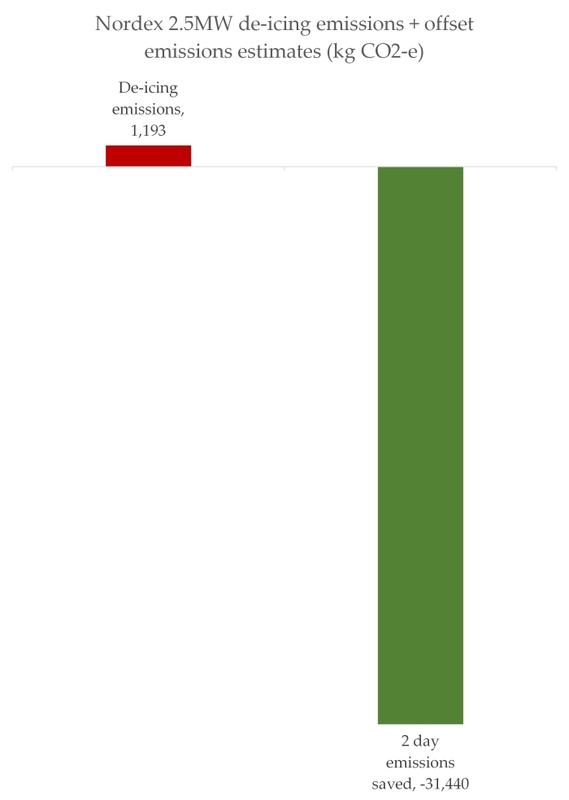 Genuine R&D might double or triple the height of those green columns, in half the time. Imagine that. Here's the thing: every single technology that emerges from the billions of dollars of investment in research and development will face extremely passionate opposition from incumbent polluters. Even if we created a technology that could compete effectively with coal through innovation and research, it faces a decade of manufactured syndromes, government health studies, Prime Ministerial declarations of ugliness and outright denialism. The goal, for those hijacking the reasonable push for increased innovation and invention, is to lock-in the reign of harmful technology for another few decades. Paired with the illogical and awkwardly adopted moralising, and a sprinkle of standard scientific denialism, we're wedded to a collection of technologies for which we'll pay the price, with no share of the profits. When I was in year 11, I read a book called The Selfish Gene, by evolutionary biologist Richard Dawkins. It's a great piece of science communication. It inspired me to make a lego DNA model for my high-school biology project. The idea that much of what comprises our identity is contained in this ribbon of code seemed genuinely wonderful, to me. But I have to admit, part of why I loved The Selfish Gene so much is because it seemed a closer linkage to reality than the book some avowedly creationist peers in biology class were reading. It was the same with his later work, The God Delusion. That book wasn't about science communication, but it described a philosophy that I already subscribed to, and put my frustration into words. It also made feel like I had access to an insight that was being ignored by most other people. Dawkins now seems to exemplify the things that he once called out: namely, succumbing to some internal force that draws you away from rationality, and failing to recognise when bias and the unconscious defence of belief is tugging you in some unpleasant direction. There's something about that photo that kind of gets to me. The NASA shirt is instantly disarming, and of course, his arrest is indicative of irrational racial profiling - the idea that you can spot a threat by the origin of someone's surname, rather than evidence-gathering and analysis. Dawkins hasn't discussed the serious implications of Mohamed's wrongful arrest. He's focused instead on the authenticity of the clock, and is now firmly convinced that the teenage boy removed a clock from its housing and offered that as his own work. Follow the reply threads on Twitter you'll see the regular assertion that the family orchestrated this as an intentional hoax, designed to provoke a response. It's pure conspiracy theory - the assumption that intentional agents are orchestrating events, rather than a natural emergence of patterns. It's an odd pendulum swing. Believing that expected occurrences are orchestrated by a single organism is one of the things that leads to a belief in, say, creationism - and it's also something that, when combined with Dawkins' genuine hostility towards Islam, leads him to attribute some over-arching scheme to this teenage boy's high school project. I see this a lot. Senator David Leyonhjelm, who is ideologically anti-government, hates government support for wind energy so much that he advocates for government regulation of wind farm projects - regulation funded by the taxpayer (the recently announced 'wind commissioner' role, requested as part of an inquiry helmed by Leyonhjelm, comes in at $600,000). This is a standard feature of feeling your way through the world by adhering to pre-determined schema, rather than mulling over issues using your noggin. You will be weirdly driven towards whatever thing it is that you're railing against, and you won't blink an eye when someone highlights your hypocrisy. Guaranteed. He's baffled and outraged by the suggestion that he was directly equating Mohamed's alleged "hoax" with the actions of the child in the linked article. But his tweet, the reaction and his subsequent defense illustrate an important point that he's never understood: if everyone fails to understand something the way you understood it when you wrote it, you are a bad communicator. Also, there won't be a single interpretation of what you said: context, attitude, sentiment and timing all impact how your message sits inside the brain of those who choose to consume it. @historyinflicks Google Texas infamous clock. Now do you think it's stupid? “Do not indoctrinate your children. Teach them how to think for themselves, how to evaluate evidence, and how to disagree with you"
Dawkins said that in The God Delusion. His plea, to advocate for a greater spread of critical thinking, directly contradicts his newfound attitude: if you don't believe me, just google it. The clock-trutherism might just be a some sort of ideological defense - the creation of a narrative that negates the threat to his worldview. In this case, it's the preservation of organised religion (and its adherents) as consistent aggressors. It extends to the lawsuit thing, as well. In America, there is a new lawsuit every two seconds, but Dawkins sees the response of the boy's family and declares it part of the conspiracy (that's not to say the lawsuit is a good thing - just that it's unremarkable). "You can proclaim you’re an atheist, a freethinker, a devotee of the enlightenment – and yet somehow still end up backing rightwing Christians like George W Bush and Ben Carson in their campaigns against the Muslim hordes. Which is why it’s not enough to denounce Dawkins and Harris. If we’re to save the good name of atheism, we need to popularise a fundamentally different approach, one that seeks to understand religion rather than simply sneering at it"
I'm not sure I agree with all of Sparrow's piece, but he makes a monumentally important point: injecting a dose of empathy and a time of listening both go a very long way. I'd argue that it's more rational to spend time understanding the gears inside someone's head - what's made them turn to organised religion? Why is someone rejecting the science of vaccination? It's almost never 'stupidity' - it's usually a complex brew of sentiment and cognitive bias - you can't counter it with assignations of ignorance. It's also rational to work towards effective communication. Being right is half the game, not the whole game. You need to be right, and to be heard. Dawkins prodded me into the very real and thrilling joy of understanding science. But his attitude and approach are leading to increased prevalence of the precise things he's railing against. This pendulum swings with such momentum that Dawkins now exemplifies conspiracist ideation and irrational discrimination. 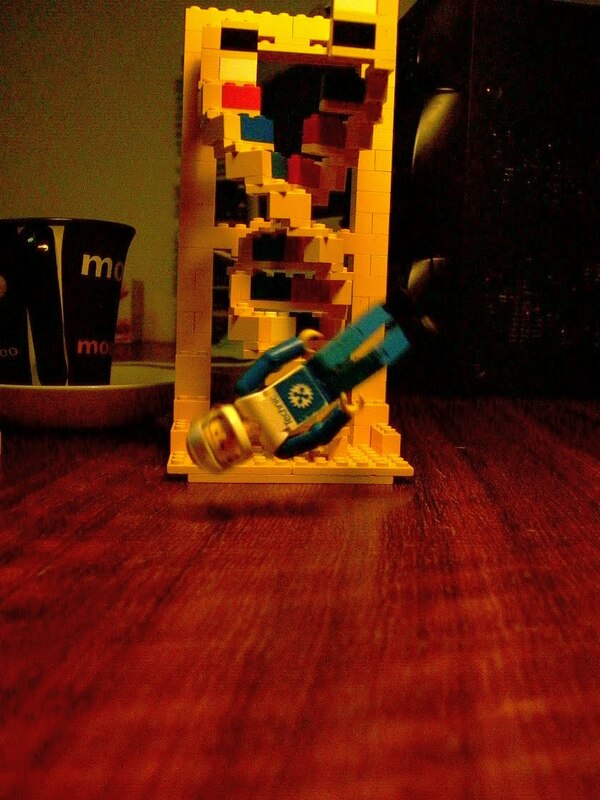 A confession: my brother helped me make my lego DNA model. Like..majorly. He did all the hard bits, and I just finished it off. Come at me, Dawkins.